"Home is the new first grade." Since we have been talking about the importance of early education, today's math product is for children ages 1 to 5. 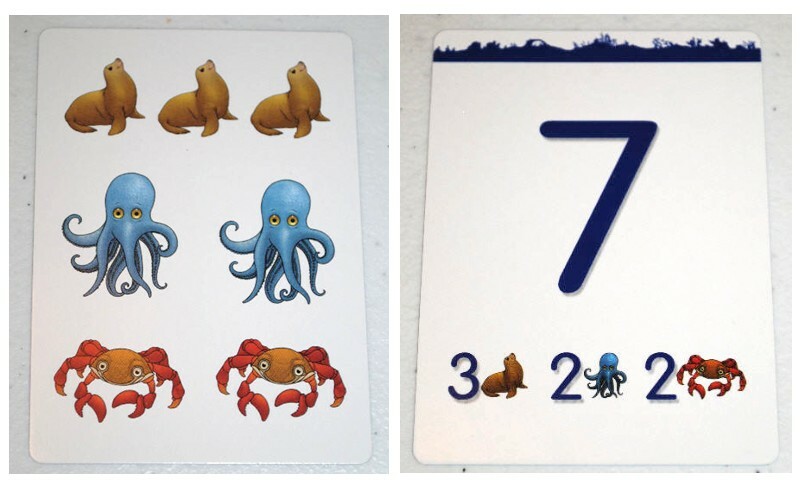 These game cards are based on the ChildUp Early Learning Method, which emphasizes parental involvement and learning pre-math skills. Each set of cards contains 16 parent cards and 48 child cards. The parent cards describe the early learning method and provides parents with solid information about their child's development stages. They also explain why the critical period for learning the basis for math and logic is between ages one and five. 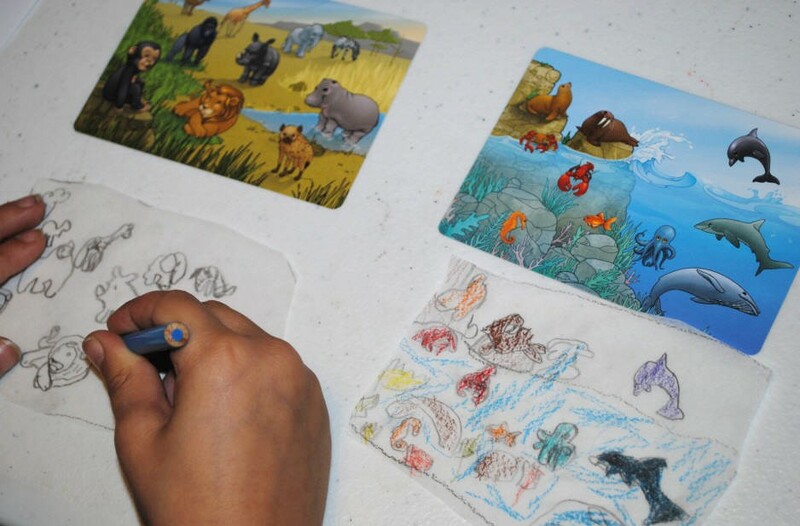 The child cards are divided up into four different themed learning groups. For example, in the couting to 10 cards there are farm animals, ocean animals, African animals, and birds. Parents ask their children counting questions, such as "How many mammals can you count on this card?" or "Which animal is the biggest?" or "Which animals can fly/run/swim/etc." So the cards combine math concepts with science ones. The beautifully illustrated cards are designed by Argentine artist, Marcela Ribero. They are so adorable and engaging that your child is sure to love looking at each one. The ChildUp website is full of information about their early learning method. You can find articles, online parenting classes and much, much more. 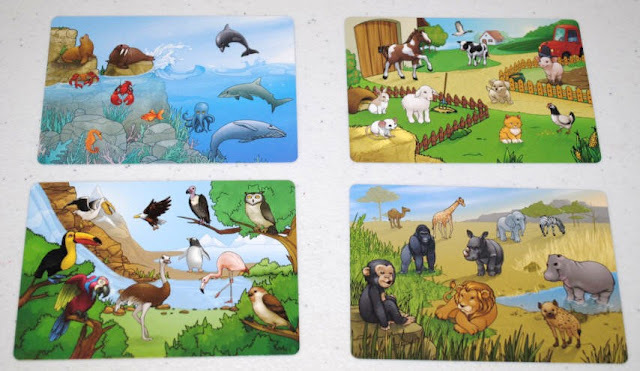 They also offer two FREE learning apps: The EarlyMath app to help kids learn digits and teach early counting, and the EarlyZoo app to teach preschoolers the basics of zoology and biology (80 different animals in 8 different categories). I LOVE both of these. I think they would do well to create their card games with parent cards in Spanish, too, so that Spanish-dominant families can also work with their children at home to prepare them for Kindergarten and future academic success. However, bilingual parents can easily read the cards and translate the questions for their children. The cards also inspired my own child to do this! So if you have a toddler, take advantage of this stage to begin teaching them early math skills! Disclosure: ChildUp sent me two packs of counting cards to review. All opinions expressed above are strictly my own. How cool!!! I also believe that they would do well to create their card games in Spanish. This is great! I can take these and use them when I tutor. wow.. super cool ! Thanks for the info! Perfect timing. :) my daughter starts kindergarden next year! Cute! I loved your quote at the top too. My son doesn't go to preschool (he's 4.5) and he's not eligible for Kindergarten until next year because he missed the cutoff date by two days. Tools like these will help him stay on track. Thanks! These are beautiful and so educational. The possibility of games are endless. My kid adores card games. Hola! I'm loving this cards and all you can do with them. My boy loves numbers and animals so they would be perfect. Thank you for sharing, I'm going to check them out. I agree. I love your opening quote too. So true on a lot of levels: educational, values, manners! These look awesome! I still remember how my mom helped us learn English as very young kids, with cards like this. And it was so much fun, it didn't feel like learning at all.